If you prefer the to address the Town Board at a meeting, the Town Board meets the third (3rd) Thursday of each month at the Town Hall. The meeting begins at 7:00pm. There are strict New York State laws in effect governing the care of municipal cemeteries. 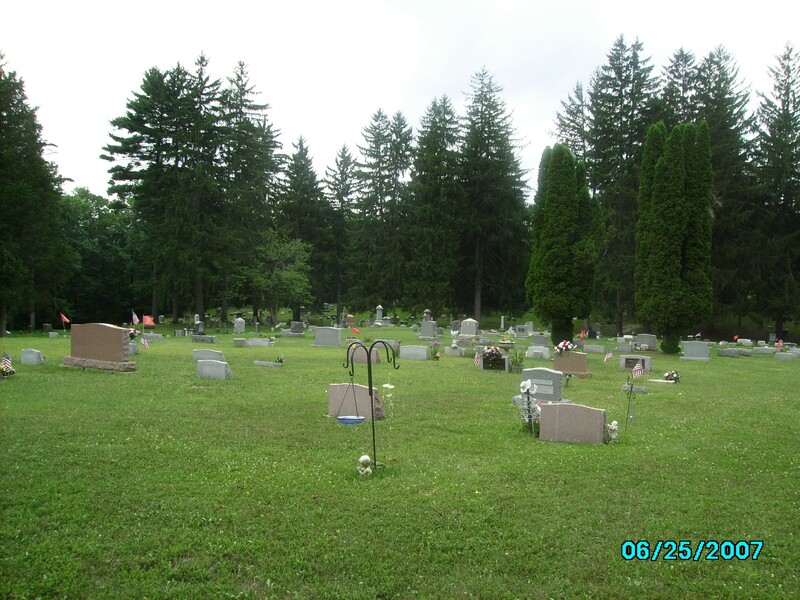 The Town of Veteran is responsible for maintenance of all cemeteries within the town boundaries; especially those that are municipal cemeteries. IF YOU HAVE A COPY OF A LOT OR LAND DEED TO ANY OF OUR CEMETERIES AND WOULD BE WILLING TO SHARE A COPY OF THAT DEED WITH THE TOWN OF VETERAN HISTORICAL SOCIETY WE WOULD GREATLY APPRECIATE IT. 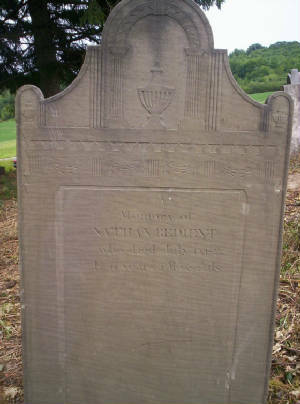 WE ARE ESPECIALLY INTERESTED IN PARSONS CEMETERY ON THE MIDDLE RD AND THE GREENE BENTLEY ON ROUTE 14 MILLPORT. Below is a listing of the cemeteries located in the town of Veteran and their various conditions. Most of the cemeteries have a sign identifying them; however not all are completed. 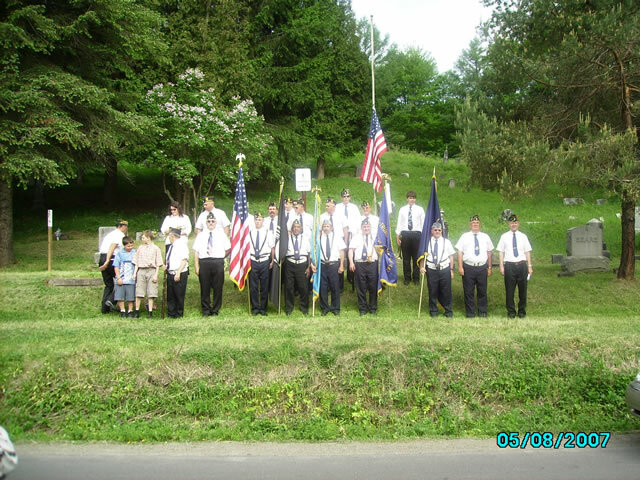 The Town of Veteran is responsible for the yearly maintainence of all municipal cemeteries within the town. Please pay close attention to what is written about each cemetery and be respectful if it is located on private property. In any case permission must be obtained from the land owners if the cemetery is on private property before entering it. Should you have any questions regarding individuals buried in any of the cemeteries please contact the Town Historians. Bentley or Green Bentley - Millport, NY. This small cemetery is in fair condition. It sets just off the West side of the road as you leave Millport heading North on Route 14. It is a municipal cemetery. 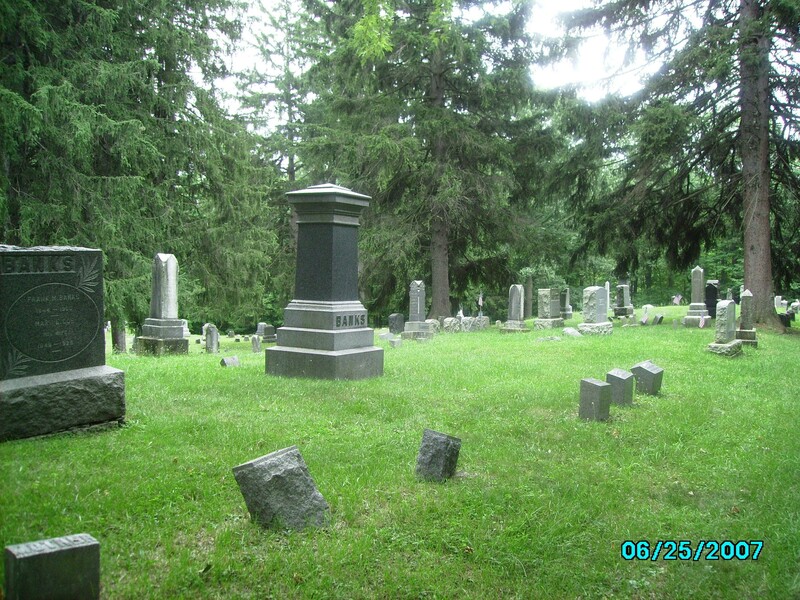 Coryell : This cemetery is at the north end of the town on Rt 14 down in a field on the border of Chemung county and Schuyler county line. Sixteen are believed to rest there but only one name is known . Crandell Family 1835-1901: The Crandell cemetery contains mostly graves belonging to the Crandell family. The cemetery is still owned by the Crandell family.  Gearhart: - Sullivanville, NY. This cemetery is in excellent condition. It is located on the East side of Lintal Drive just off of Route 13 North. It is a private cemetery. Kendall - this cemetery is said to be located near the intersection of the Middle and Ridge Road, or County Route 5. Lattin - this cemetery is located on the East side of the Ridge Road between the North and South ends of the Acker Road. It is no longer visible from the road. This is a private cemetery. 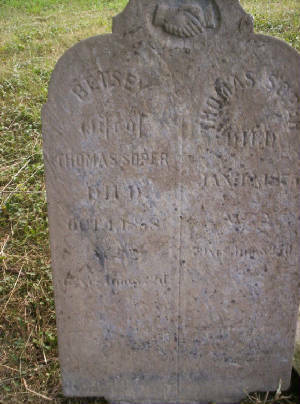 Locke : this cemetery is said to be located off of Route 14 North near the Schuyler Co., N.Y. county line. There are two stones leaning against the tree in the front yard of the old Sleeper home. Millport: this large cemetery is located just above the Village of Millport on Cemetery Hill. It is well maintained by the society. It is still open and accepting new burials. Parsons: this cemetery is located on the Middle Road, just North of the intersection of Church Hill and Middle Road. It is not maintained so is therefore in poor condition. Anyone wishing to enter the cemetery is cautioned because of it's condition. This is a municipal cemetery. Ridge or Vary: this cemetery is located on the West side of the Ridge Road just south of the intersection of Smith and Ridge Roads. It is very well maintained. This is a municipal cemetery. St. John: this cemetery is located at the end of a long path off of the Jennings Road. It is near to the intersection of the Jennings and Middle Road. It is very much overgrown. It is a private cemetery. Sullivanville: this small cemetery is located off of Route 13 North just above the hamlet of Sullivanville. This is a municipal cemetery. Terry: this cemetery was destroyed in the 1940's and was located near the northern intersection of Terry and Veteran Hill. It set just south of the home. It was a private cemetery. Little is known of those buried there as no stones remain. Turner: located on the West side of the Ridge Road just above the intersection of Smith and Ridge Road. This is a small private cemetery adjacent to the Crandell cemetery. VanDuzer: this is the second largest of the cemeteries in the town and is a closed cemetery. It is located on a hillside on the North side of the East Sullivanville Road, about two miles out from the intersection of Old Route 13 and the East Sullivanville Road. Anyone wishing to enter the cemetery is cautioned due to it's condition. It is not maintained. 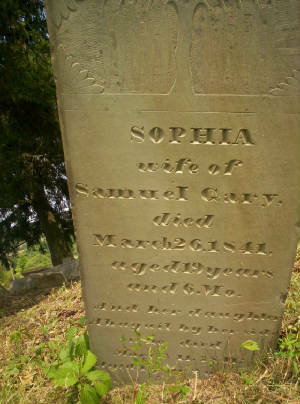 There are several Civil War and three Revolutionary War Veterans buried in this cemetery. This is a municipal cemetery.